Dan's parents hosted a lovely rehearsal dinner for us before our wedding in 2012. The venue had a stunning view of the city skyline enhanced by a spectacular lightning storm! The weather even politely waited to rain until I was inside, so it wouldn't ruin my hair (so thoughtful). 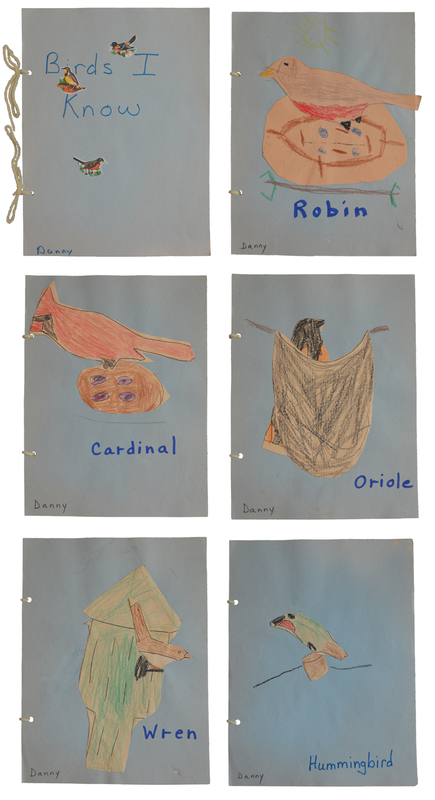 After the dinner, my in-laws presented us a little collection of sentimental and silly gifts, including one that particularly appealed to my love of birds: Dan's handmade elementary school project booklet entitled "Birds I Know" (c. 1991). This handsome construction paper volume is bound with archival quality yarn and provides an in-depth look at the extensive varieties of bird species in North America. I've decided to document this literary treasure in its entirety here. 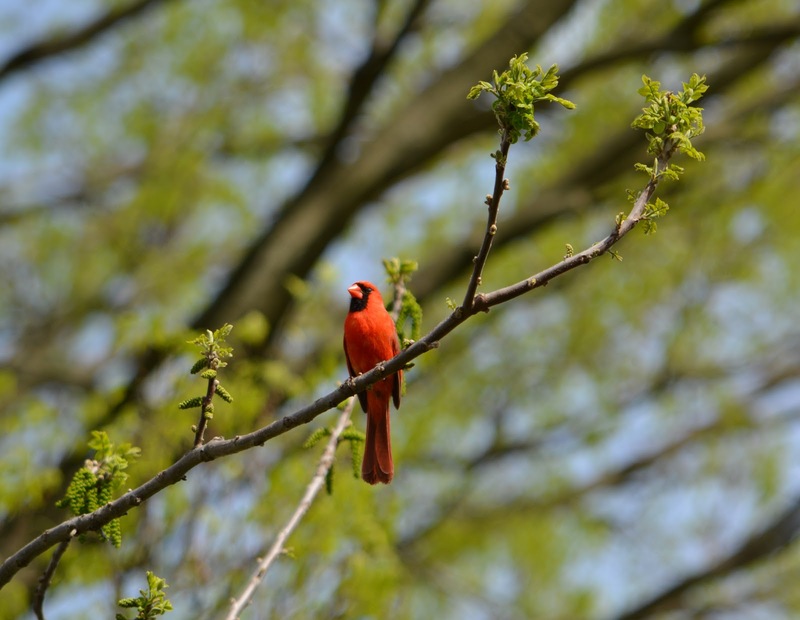 There you have it: "Birds I Know." All five of them. Did I mention it's a first-edition AND it's signed by the author (on every page)? 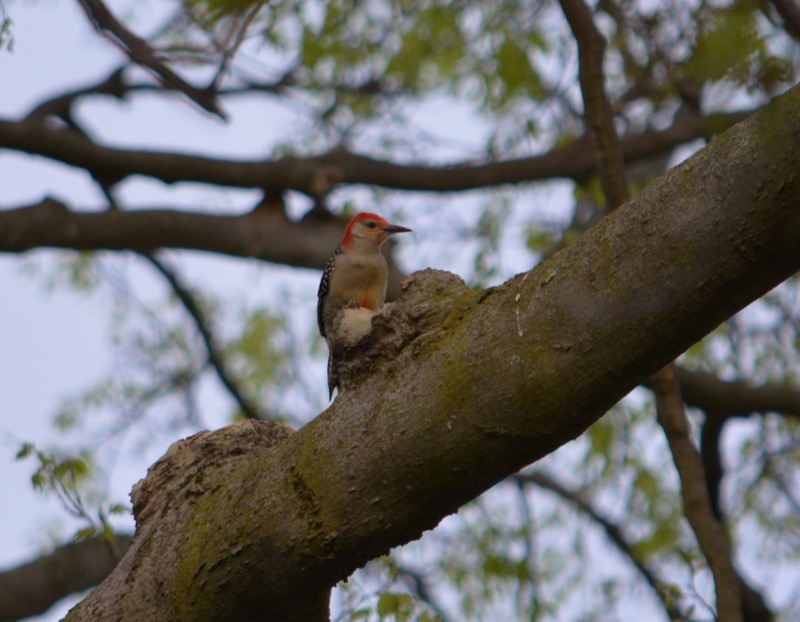 In honor of "Birds I Know," here's are some birds I know (Northern Cardinal, Red-Bellied Woodpecker) photographed in my own backyard!